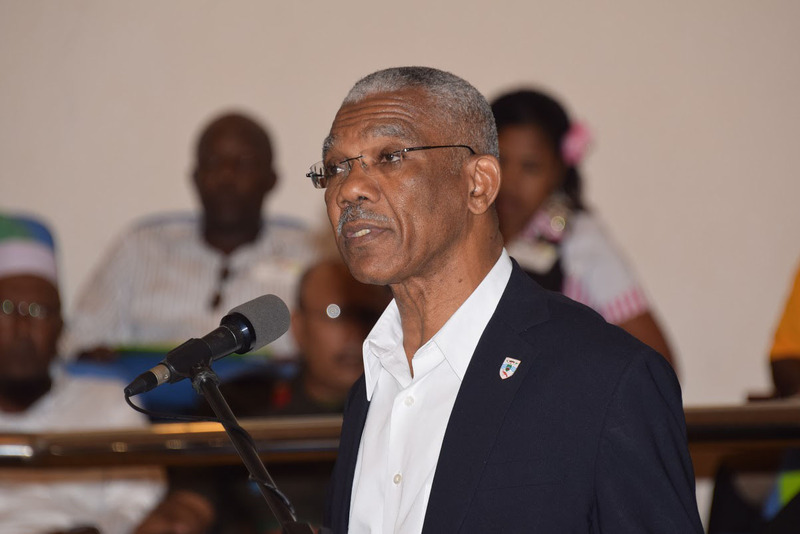 With some concerns that there may be political interference in the work of the Guyana Defence Force (GDF) and the Guyana Police Force (GPF), President Granger has made it pellucid that no politician gives operational direction to the two agencies. A GDF officer and two others were recently killed in an accident after a high speed chase went the wrong way. The Officer, Robert Pyle was in th process of conducting a reconissance mission on the children of NICIL Head Winston Brassington, reports state. The opposition People’s Progressive Party had accused the government of misusing the security regime for political purposes. But President Granger was adamant that this was not the case. He recalled that the GPF and GDF have a history of conducting joint operations hence the mission should not come as a surpise. “As far as I know the SOCU is conducting some investigtions…the request may have came from the polic force to the defence force…no politician gets involved in giving directional objectives to the police force or Chief of Staff,” said the President. Asked whether a probe will be conducting into the circumstances surrounding the botched operation, the Commander in Chief responded in the negative. Former Home Affairs Minister Gail Teixeira has stated that the Chief of Stafff of GDF Mark Phillips and the Commissioner of Police Seelall Persaud have to answer for the death of Pyle and the two others that were killed. She stated that they have a responsibility to say who gave the orders for the reconnaissance mission. She said that while the government has a right to conduct investigations, there are procedures to be followed and in this case, these procedures were apparently flouted.